Driven in part by gifts to attract and retain the very best academic minds, the UO’s fundraising campaign has now reached nearly 90 percent of its $2 billion goal. 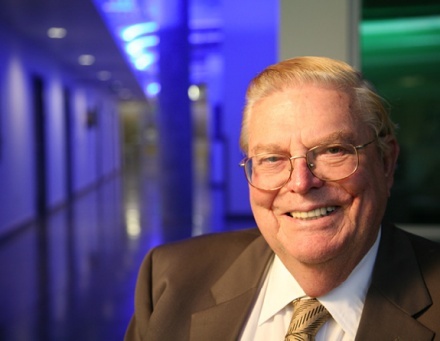 In March, UO benefactor and irrepressible philanthropist Lorry I. Lokey said he’ll infuse the upcoming Phil and Penny Knight Campus for Accelerating Scientific Impact with $10 million to fund up to five faculty chairs, and he’s urging others to join him. Charles H. Lundquist College of Business Suanne, BS ’64 (psychology) and Grant Inman, BS ’64 (economics), to secure professors who can best inspire innovation, entrepreneurship, and leadership. School of Music and Dance Virginia and Tim Foo, MM ’68, DMA ’73 (music education), a faculty chair named in honor of Edmund Cykler, a longtime, revered music professor known as a bridge builder. CAS/Biology Carol Ezeir and Ned Robert, BA ’69 (biology), MD ‘73, in gratitude for providing Robert with a solid foundation for his success as a cardiologist and to help CAS build an even more outstanding faculty. Gifts have also been pledged to assist students. 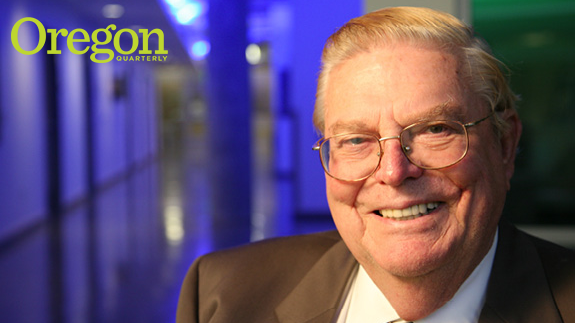 In thanks for the knowledge imparted by his mentor, chemistry professor John Keana, Dennis Beetham, MS ’67 (chemistry), and his wife, Janet, gave $1 million in Keana’s name to support graduate students in chemistry.